Struckd is a sandbox game creation platform developed in Zurich by Silvan Bauser and Flurin Jenal. 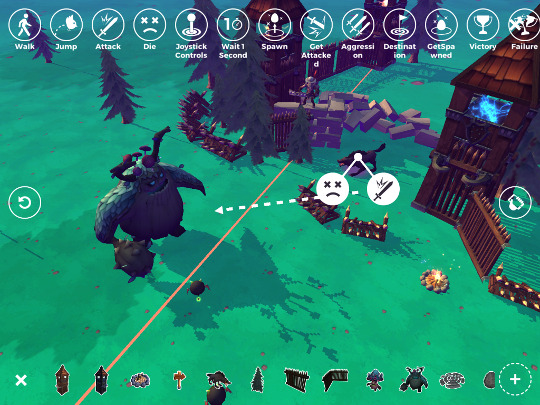 Struckd provides a possibility for players to build share and play their own games. And that without requiering any technical know-how that would otherwise be substential for game development. During my internship in summer 2016, I was responsible for the game design and realisation of the "Forest Fortress" content package. Also I was responsible for the design and implementation of both, a dynamic sound and animation system which would facilitate the future usage of third party assets. The internship was a great opportunity for me because it allowed me to autonomously design and build a substantial part of a game, while also giving me insights about challanges that young companies face.